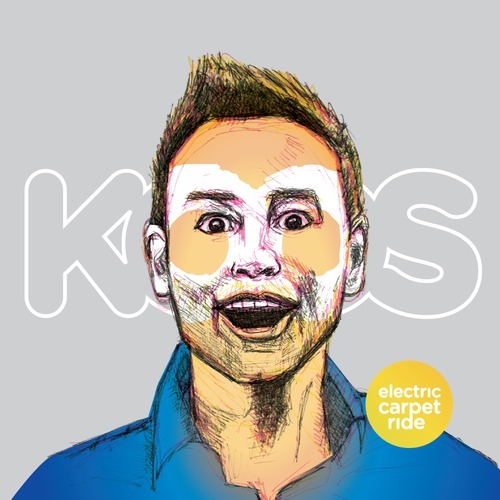 Song of the day: KOOS – "Rock This Party"
I’ve just had another listen. I still like it. KOOS emailed me to let y’all know that the EP isn’t upcoming anymore – it’s now available. Song of the day: KOOS – "Feel Alright"
A young man from the Netherlands named KOOS emailed me and asked if I’d like to have a listen to his five-track EP, Electric Carpet Ride, which will be released in March (this year). This song makes me think of all the soft rock songs I listened to as a youngster in the 1970s, and how I loved ’em. “Feel Alright” had me bobbing my head in no time. A folky steel-string guitar to introduce the song, and we’re away. (Far away from the dance floor.) This is a nice, waltzy kind of thing. It gets a bit rockin’ in the middle, but then it settles down again, going back to being nice and waltzy. This one definitely has its heart in 1970s AM radio. I can imagine this being played by any one of those American West Coast soft-rockers like John Stewart, Andrew Gold, Bob Welch etc. etc. etc. See above comment about John Stewart, Andrew Gold, Bob Welch etc. etc. etc. I just realised that in all those songs, I didn’t even mention KOOS’s voice or the vocal harmonies. I liked KOOS’s voice very much, as well as the harmonies. Summing up, I’d say that anyone who ever had their ear pressed against a transistor radio in the 1970s, diggin’ those golden tunes while punk and disco were doing whatever they doing somewhere else, will respond quite positively to Electric Carpet Ride. And now if you’ll excuse me, I’m going to email a man called KOOS and ask him if he has plans to make a full-length album. And if so, can I buy it as soon as it’s available? You are currently browsing the archives for the KOOS category.